(March 20, 2015) — As the 45th anniversary of Earth Day approaches, the newly formed Bluegrass Earth coalition is inviting the public to celebrate sustainability in Lexington throughout March and April. Bluegrass Earth was initiated by WUKY’s General Manager Tom Godell to bring together environmental groups in Central Kentucky. WUKY is the University of Kentucky's NPR station. “Having long been a strong advocate of sustainability issues, I saw a need for environmental groups to come together under one umbrella so that they could share resources and have a greater impact with their outreach, education and events,” Godell said. Bluegrass Earth is promoting multiple events to celebrate environmental sustainability around Earth Day, which is April 22. The first event is the launch of a free environmental movie series that runs between March 25 and May 8. The first film, "The City Dark," a documentary about light pollution, will be shown at 6:30 p.m. Wednesday, March 25, at the Central Library’s Farish Theater. A discussion about the film will follow. WUKY will host a performance by Kentucky-born cellist and composer Ben Sollee. He plays the cello in a unique way and his music ranges from folk to R&B. The concert is April 22 at the Kentucky Theatre. Tickets are available on WUKY’s website at wuky.org. Dozens of other Earth Day related events can be found on the Bluegrass Earth website at www.bluegrassearth.org. 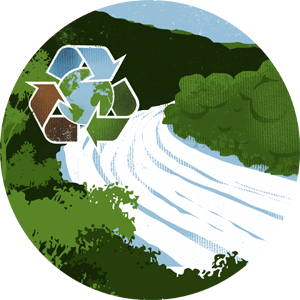 Bluegrass Earth partners are dedicated to promoting environmental awareness and responsibility in Lexington and surrounding counties. The coalition’s mission is to improve the economic vitality and quality of life in Central Kentucky by uniting individuals and organizations dedicated to environmental sustainability.